Spc. 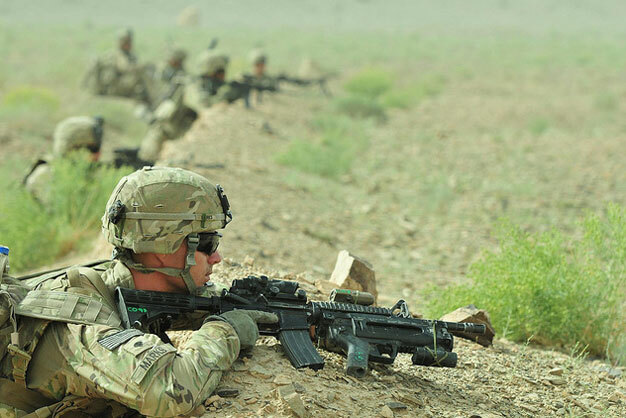 Shane Marks, 1st Battalion, 17th Infantry Regiment, 2nd Infantry Division, provides security in an overwatch position during Operation Southern Strike II in Afghanistan on June 6. US Army photo by Sgt. Brendan Mackie.